How Dependable Are Your Sewer Lines? 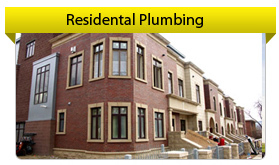 Every Brooklyn area business experiences some type of plumbing problem as some time. 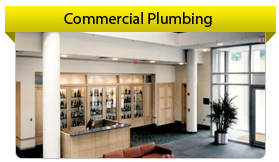 However, commercial plumbing jobs like sewer repair often require much more expertise to complete. When dealing with broken sewer lines, sewer leaks or sewer system installation, commercial plumbers need to use more complicated equipment. No matter what you need in the Brooklyn area as far as sewer work, Downtown Plumbing stands ready to respond. We have all the tools, manpower and expertise to keep your commercial sewer lines working perfectly. In order to repair a sewer line properly, we first conduct a video inspection of the plumbing problem to find out exactly what is going on. A sewer line can be broken, suffer from a root invasion, or deteriorate with age, among other things. Once the sewer is unclogged, we conduct a high tech video plumbing inspection. Downtown Plumbing inserts a camera to transmit a live video feed from inside the sewer line. This process helps determine what the damage to your sewer may be, and exactly where the problem is located. Our goal is to accurately diagnose whether your sewer needs spot repairs or more extensive work. Our experienced, reliable commercial plumbers can do everything from the smallest sewer line repair to a full sewer system replacement. To protect your business’ plumbing system and avoid costly damage caused by undiagnosed sewer line problems, contact Downtown Plumbing today. After a full video inspection, we can provide an estimate that will save your business valuable time and money. Call (718) 858-7070 to speak to one of our friendly staff members.